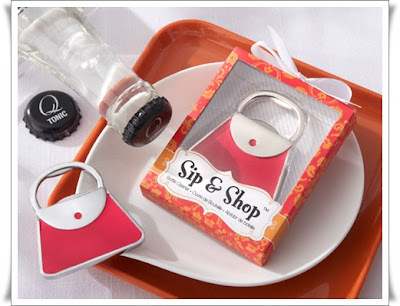 Perfect for ladies who love fashion and fun at their fingertips, our Sip and Shop Bottle Opener prepares you for one of life's small surprises--a non-twist-off bottle cap. Just pull out your purse and quench your thirst. 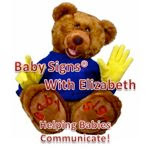 The Perfect Favor for Bridal Showers or Any Get Together with the Girls. 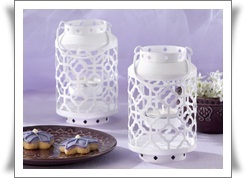 Create a LASTING IMPRESSION for your Wedding or Special Event with our NEW Skylights White Mini Lanterns. Inside this delicately designed, openwork mini lantern, the tealight holder itself gently sways, creating a shimmering glow on every table. They make exquisite table decor, wedding favor or both.